This Irish house blessing card features a real shamrock. 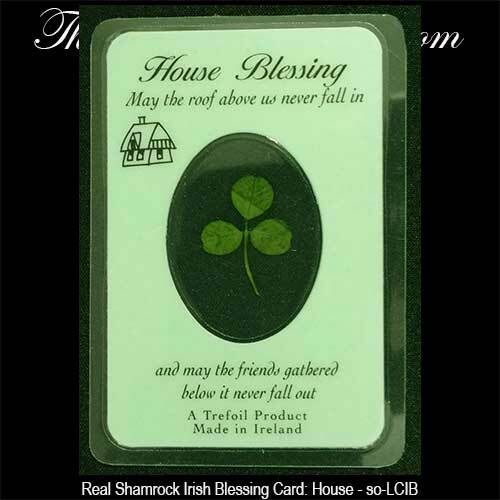 This real shamrock card features the following Irish blessing: House Blessing May the roof above never fall in and may the friends gathered below in never fall out. This Irish house blessing card features a real shamrock, the national emblem of Ireland and a symbol of good luck. 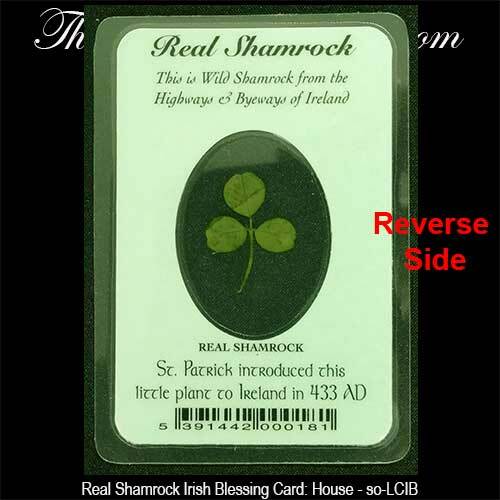 The real shamrock blessing card measures 2 1/4" wide x 3 1/4" tall and is made in Ireland. The laminated wallet size card is received with a shamrock history card, complements of The Irish Gift House. Just like snowflakes, no two real shamrocks are identical.